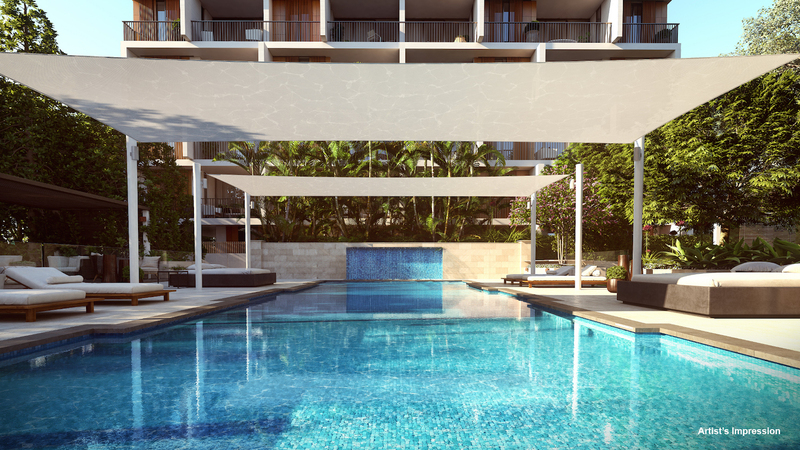 Palisade, Miranda offers a rare opportunity to acquire a premium residential address in an exclusive location with incredible resort-style living at the heart of its plan. 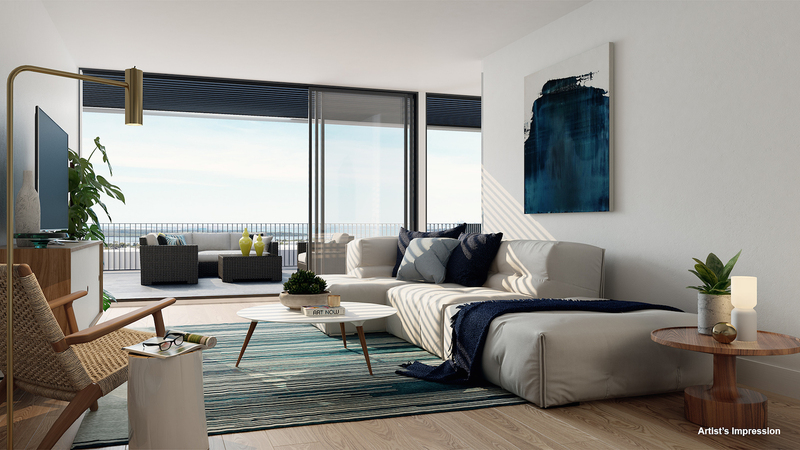 These stylish 1, 2 and 3 bedroom apartments have been developed by Galileo Group, a premier property developer with years of experience in the Australian market. They have brought on board a dynamic collaboration of architects from KANNFINCH and Urban Possible to create a residential address that is unique in every sense. In fact, potential buyers have a chance to get a real sense of the pure luxury and elegant landmark architecture on offer at Palisade thanks to the construction of a display apartment which is ready for viewing. These beautiful homes are imbued with a palette of chalky whites, caramels and chocolate browns that combine to create the naturally rich sense of tranquillity. 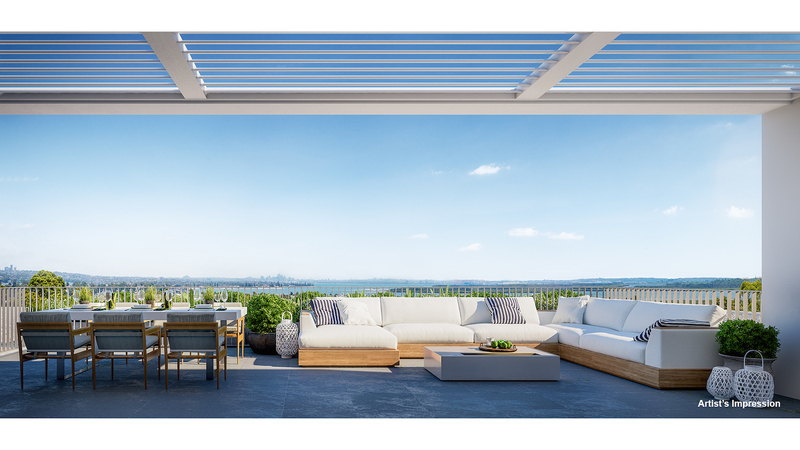 Space and light are apparent in these stunning homes, which connect perfectly and provide the ideal balance with Palisade’s enviable included amenities. Residents will no doubt be keen to start the day with a few laps in the sparkling turquoise waters of the 20m swimming pool or powering through a workout in the private, state of the art gymnasium. 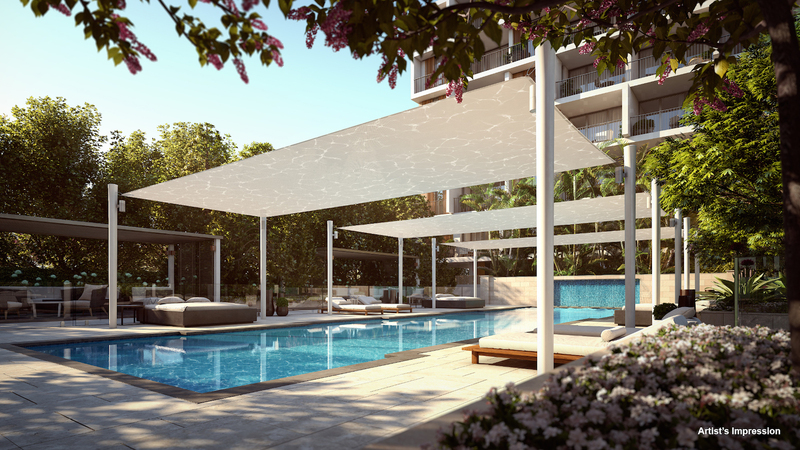 Further enhancing the resort-style living at Palisade, the residents-only Clubhouse also sets the scene for relaxing with a cool drink on the sun lounges, or entertaining friends and neighbours with a spot of alfresco dining. Beautifully landscaped, this exclusive and tranquil haven is perfect for unwinding amid lush subtropical gardens. Palisade also delivers further entertainment and amenity thanks to its ideal location. On the doorstep is the largest shopping centre in Sydney’s south, Westfield Miranda, rightfully recognised as one of Australia’s premium shopping and entertainment destinations. Explore the three-level galleria fashion mall, window shopping between designer labels like Chanel and Mimco before moving on to department stores like Myer. The 100 Squared emerging designers market is the perfect place to find boutique statement pieces and charming gifts for friends and family. The dining precinct on the third floor is the perfect place to take a break and get a refreshment while enjoying the view over the green lawns of Seymour-Shaw Park. An abundance of renowned recreational facilities is within reach of your new residential address. A short drive will have you wandering the pristine beaches of the southern coastline, or exploring the walking trails at the Royal National Park. Golf fans can also practice their skills at Sylvania Par 3 golf course – Palisade offers access to the best amenities on offer in Sydney’s south. Of course, connectivity and convenience are also key drawcards thanks to the nearby Miranda Train Station and bus stops, plus the wide selection of schools and education offerings including Miranda Public School, Port Hacking High School and Sydney Montessori School. 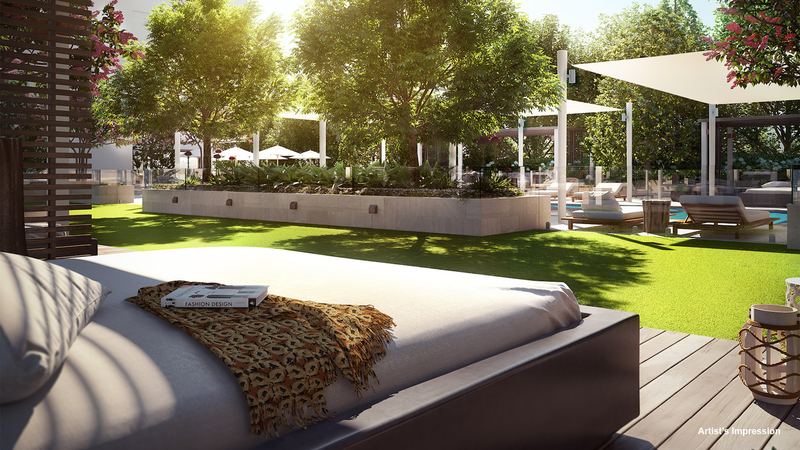 With a great selection of impressive apartments available, Palisade is proving popular with buyers of all types keen to embrace the effortless experience of genuine resort-style living. Enquire now to find out more about these luxurious residences.